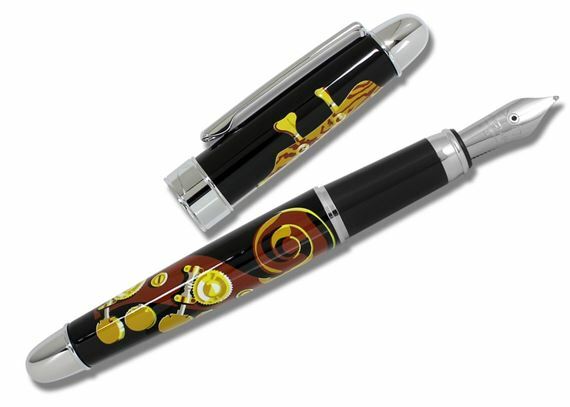 Order your ACME Stanley Clarke Designed Jazz Four Strings Fountain Pen today from FahrneysPens.com. Fine Pens, Refills & Luxurious Gifts – great prices & fast shipping. ACME Studio puts the works of noted music artists into your hands with its artful ACME Stanley Clarke Designed Jazz Four Strings Fountain Pen. Four Strings is inspired by Stanley Clarke. Clarke single-handedly started the 1970s "bass revolution," paving the way for all bassist/soloist/bandleaders to follow. He became the first bassist in history to headline tours, selling out shows worldwide, and his albums certified gold. 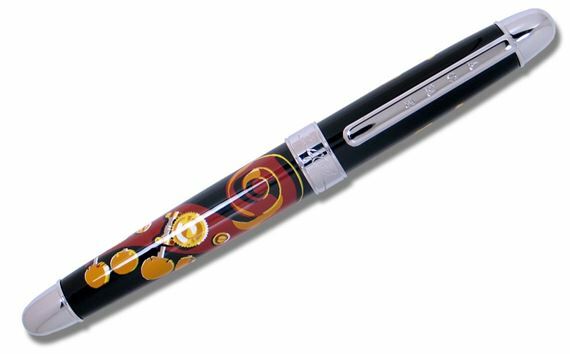 The Four Strings pattern on the fountain pen is screen printed on brass, layered with clear lacquer and trimmed in polished chrome. Each piece makes a great gift for anyone who appreciates inspired, modern design. Pen Size and Weight: 5 1/4 x 1/2 inches, 1.6 oz.